Teachers Begin Year by Celebrating Success! Welcome to the 2016-2017 school year at Jenison Public Schools! We hope you enjoyed our summer series on student writing and if you’re new to the blog, we hope you’ll subscribe and check in with us every Thursday to celebrate the great things happening in our schools! To kick off the year, all JPS teachers participated in three days of professional development centered around the yearlong theme of “Celebrating our Successes”. As parents can appreciate, teachers are so busy during the school year that they often miss out on learning from and celebrating with each other. According to Curriculum Director, Kristy Rogalla, “With the busy school schedule, meeting kids needs at every level, preparing lessons and meeting the many requirements from the State, we do not always take [or have] the time to slow down and celebrate the amazing happenings and successes at JPS!” Professional development throughout the year will provide opportunities for celebration in an effort to be “more mindful [and] purposeful about celebrating individual and team successes in our buildings”. 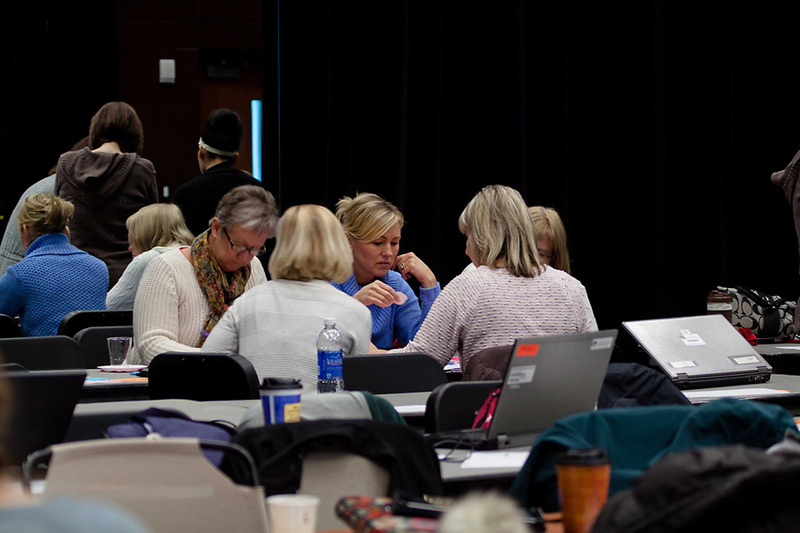 Collaborative Learning for Jenison Teachers is a Win! 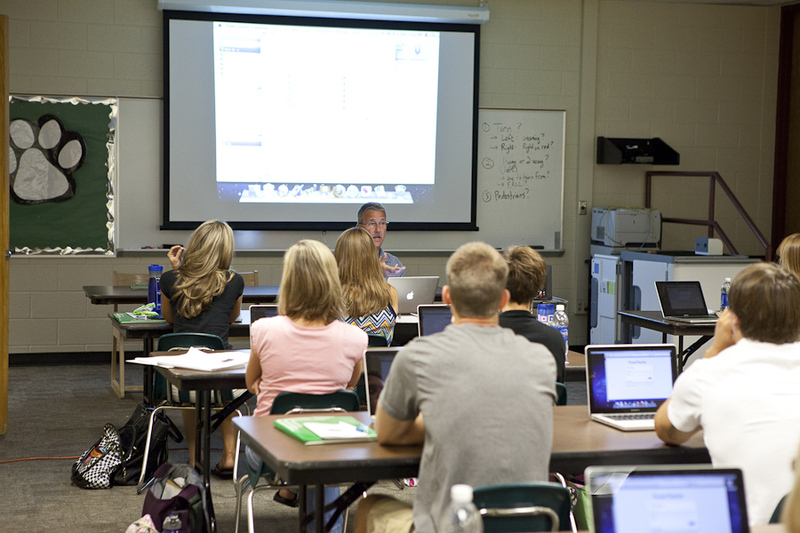 This year, an exciting new professional development initiative has been introduced to Jenison teachers: Learning Labs! According to Kristy Rogalla, Curriculum Director at JPS, a Learning Lab is “An opportunity to share effective teaching strategies and learn from our ‘quietly amazing’ colleagues in a non-evaluative, authentic setting.” The district has trained four classroom teachers as coaches whose “goal is to train department chairs [junior high and high school] and team leaders [elementary] to become learning lab facilitators. We provide resources and support to staff members participating in the process”, adds coach Michelle U’Ren. 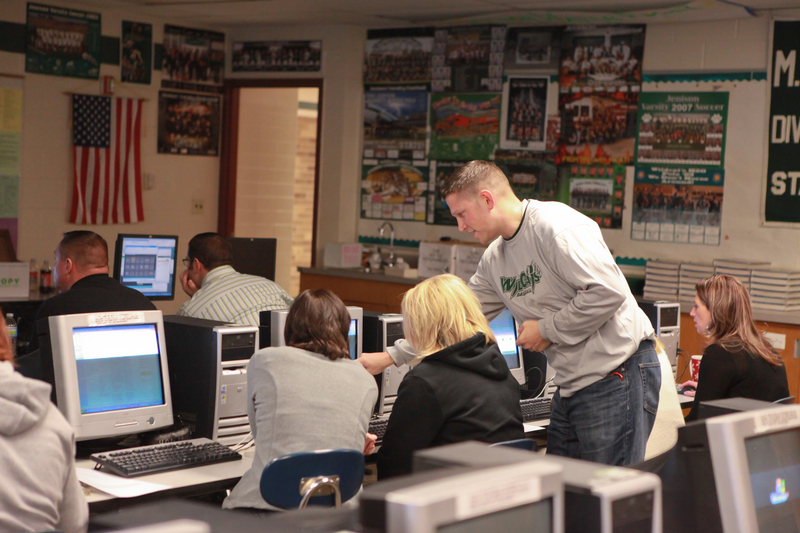 While Learning Labs are new to JPS, they are not specific to Jenison. 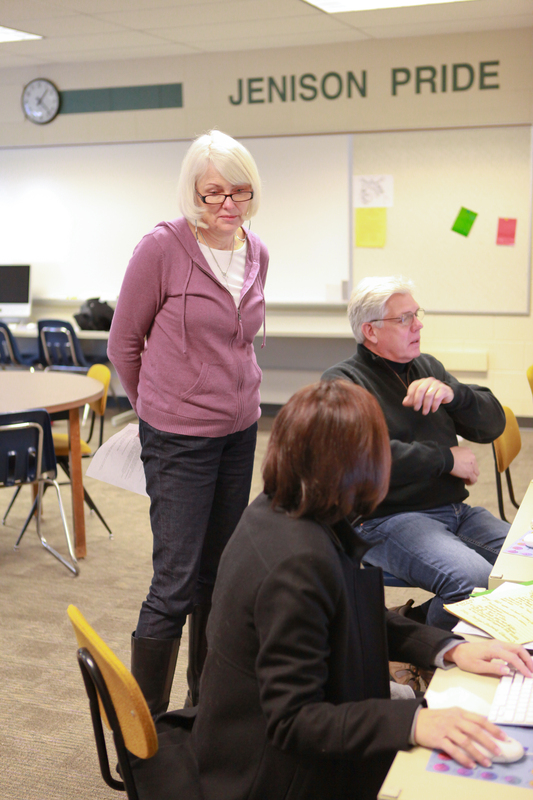 Districts throughout Ottawa and Kent County are using learning labs as a professional development opportunity for teachers to grow and collaborate. 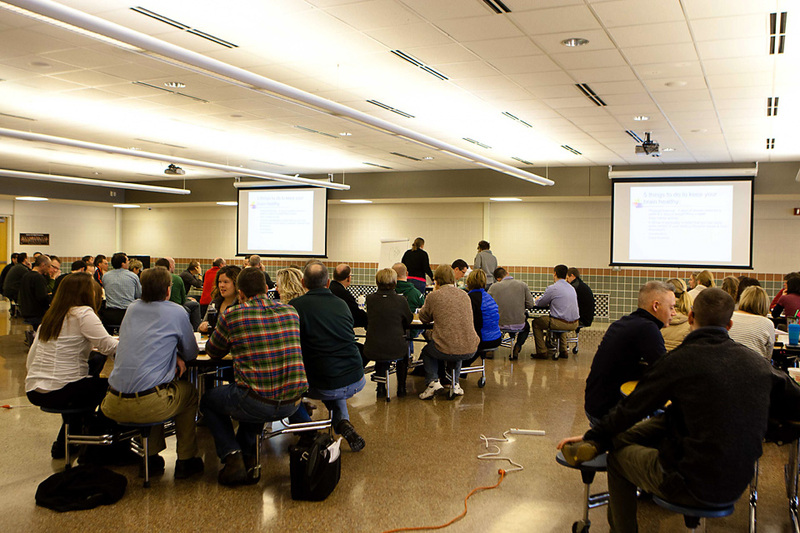 Jenison has worked with other districts around West Michigan to develop this model of professional development which encourages teachers to collaborate in authentic and meaningful ways. As teachers and coaches work together in this setting, there are four steps to the collaborative process. What are the learning targets of the lesson? What do you want students to know and be able to do? How does this lesson support your school improvement goals? What other teaching and learning prepared students for this lesson? What instructional strategies will you use in your lesson today? What activities will you use to engage students? Step 2 is the Pre-Brief stage for discussing the purpose of the lesson. Step 3 is a classroom visit by the coach during the lesson. And Step 4 is the Debrief. A TK, or Transitional Kindergarten, classroom is pictured above. Coach Janet Schultz hosted TK, K, and specials teachers, with learning around morning meetings. 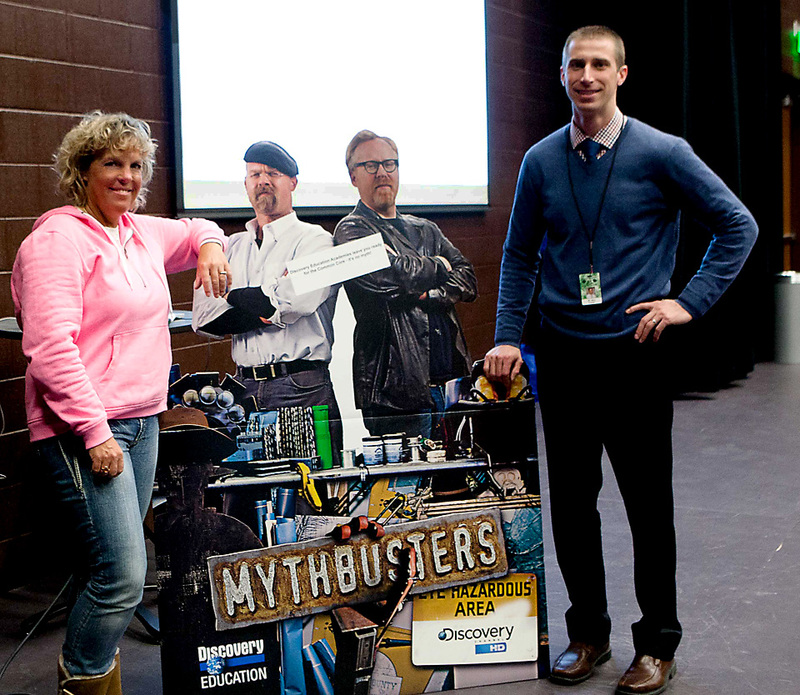 Coach Lisa Douglass hosted teachers across the district with math and science backgrounds. This picture is showing how she uses learning targets and student monitored progress. 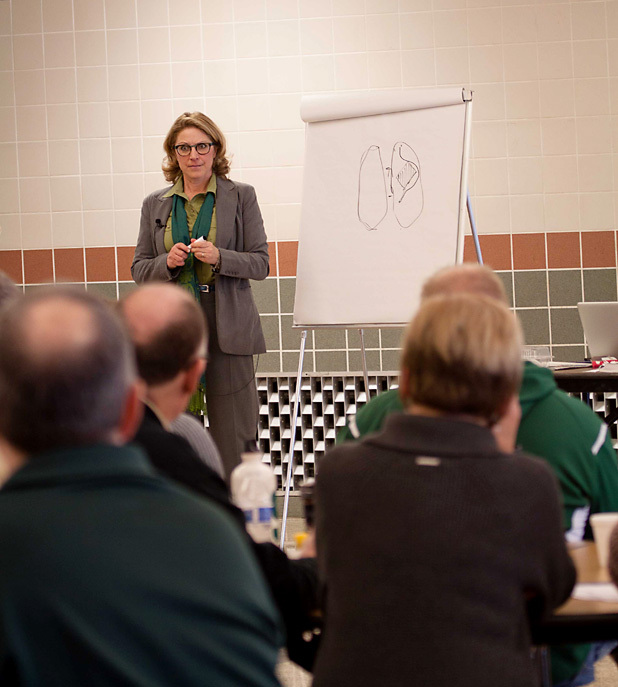 Coach Janet Schultz believes in the value of learning together and adds, “Teacher collaboration is important because it allows teachers to have thoughtful and meaningful dialogue about their chosen profession, stay engaged with new learning concepts, and get excited about their own learning and that of their students. We are looking forward to the many ways that Learning Labs will continue to grow, challenge and encourage our teachers, which, in turn benefits our students. Thank you to all of the coaches and teachers for seeing the value in collaboration! 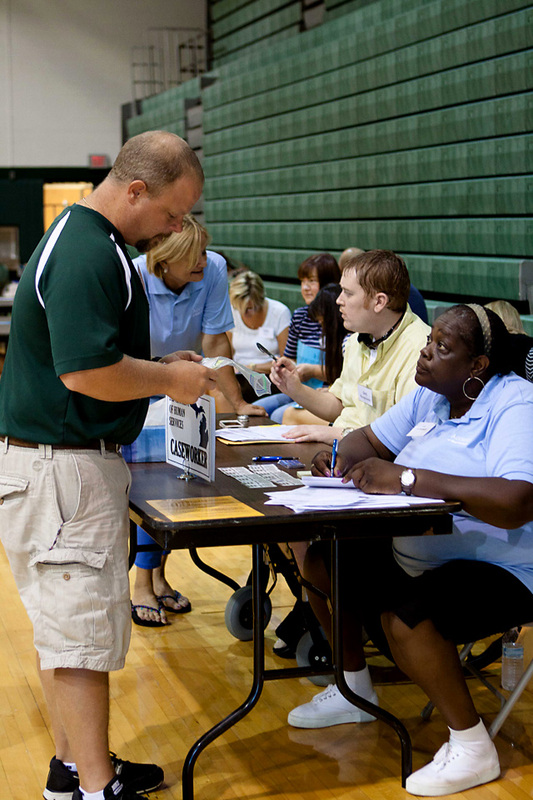 Jenison Families and Staff: Welcome to the 2014 – 2015 school year! We truly hope you had an enjoyable summer and trust that you have returned to school with excitement for what the year will bring! Please visit this blog each Thursday for news you can celebrate at Jenison Public Schools! Last week, High School and Junior High teachers took a break from setting up their classrooms and preparing their first lessons to do some real-life learning of their own. 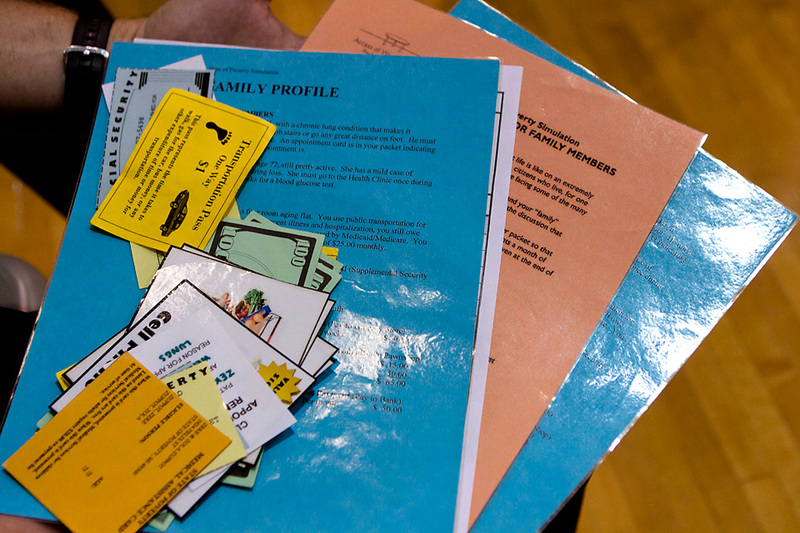 Through the guidance and expertise of Access of West Michigan, teachers and administrators checked their own identities at the door and took on roles within families struggling with poverty. Access provided the identities, family roles, monthly expenses required, monthly income and a few [extra] challenges along the way to help make the most of this two hour simulation. 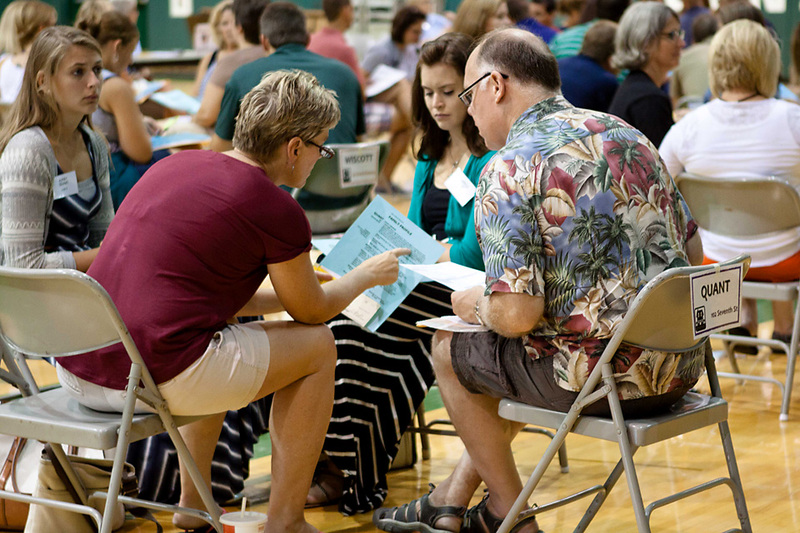 Jenison High School teachers learn their new identities and discuss their plan for the month. Based on their circumstances, and in order to meet the above goals, the groups were asked to visit area resources just as a family in poverty in West Michigan might do: the Food Pantry, Employment Office, health clinic, pawn shop, grocery store, Department of Human Services [DHS], utilities office, Quick Cash store and, one of the most important stops, the transportation office for bus passes. The exercise simulated one month in poverty and each week lasted 15 minutes. Brenda Dalecke, Poverty Education Coordinator at Access, says there are 50.1 million people in poverty nationwide which includes 16.9 million children and Access provides food pantry resources as well as emergency assistance through the connections and partnerships of over 200 area churches to those in West Michigan for which this life is their reality. 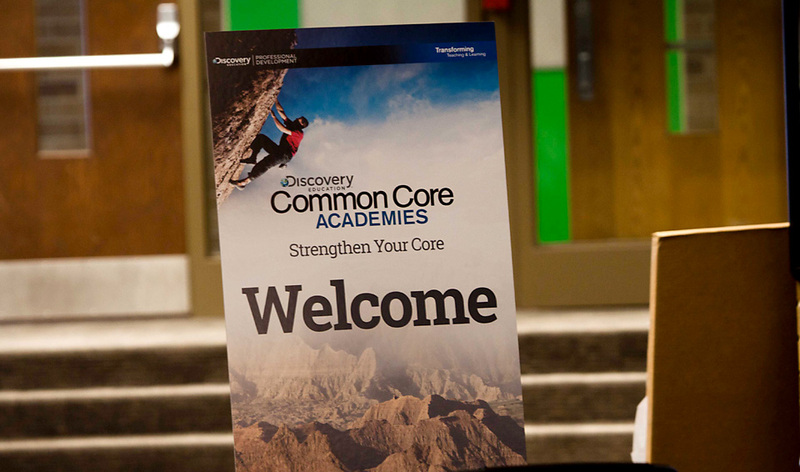 “As educators, we all know how to “do” school exceptionally well. Whether as parents, professional educators or students, we understand what is necessary for success in school.. 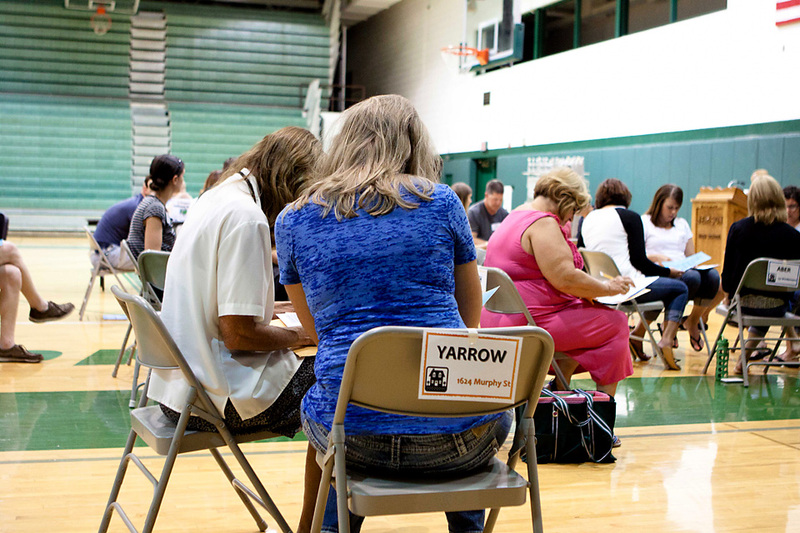 The Poverty Simulation provided an eye opening and perspective changing experience for our staff. We gained an appreciation for how stressful, time consuming and emotionally draining it can be to live with limited resources. Our time was spent seeking reliable transportation, attempting to put food on the table and maybe paying our bills. We were shocked to realize that we had spent no quality time with our children, whether it be reading to our preschoolers or supervising teens. Materials needed for the month. “Prior to the simulation I had an intellectual grasp on some of the issues that under resourced families deal with on a daily basis. However, the simulation itself moved me beyond general ideas towards a more intricate understanding of these issues. The poverty simulation helped me recognize that the numerous challenges faced by under resourced families amount to complexities that can be paralyzing. A paralysis that can be at once mental, emotional, physical, and financial. Each week in the simulation felt like a game of chess in which one wrong move was a guaranteed check mate. It caused me to become impatient waiting in long lines and frustrated by the devastating cost of small mistakes. The challenges my group faced in the simulation were such that there was no single solution that would have made our situation entirely better. However, some recognition on the part of others about the reality of our circumstances could have gone along way. As a teacher I realize that I alone will not be able to single-handedly change everything in the life of an under resourced student. Thank you, Access of West Michigan for bringing this difficult reality into perspective for our teams. We know it will make a difference as we work alongside each student and family this school year. A stop at DHS with the caseworker. A two-person family discusses their situation. 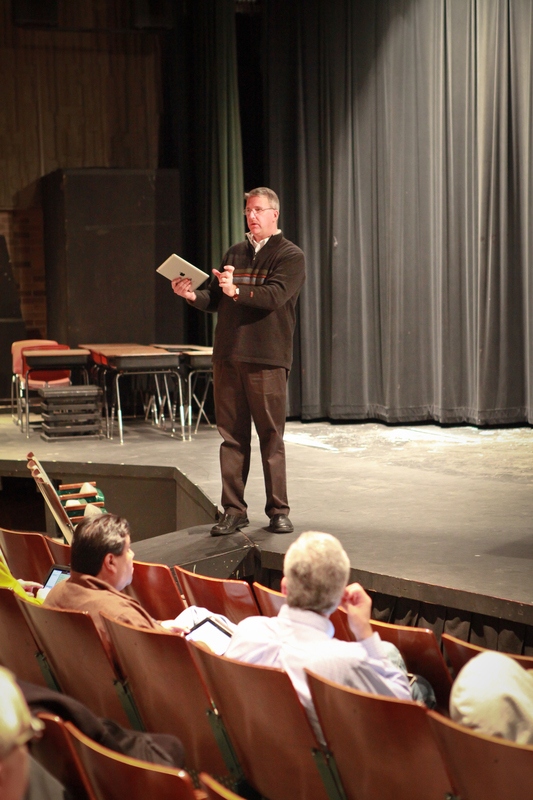 Professional Development is an important part of any job but especially for our teachers and administrators. 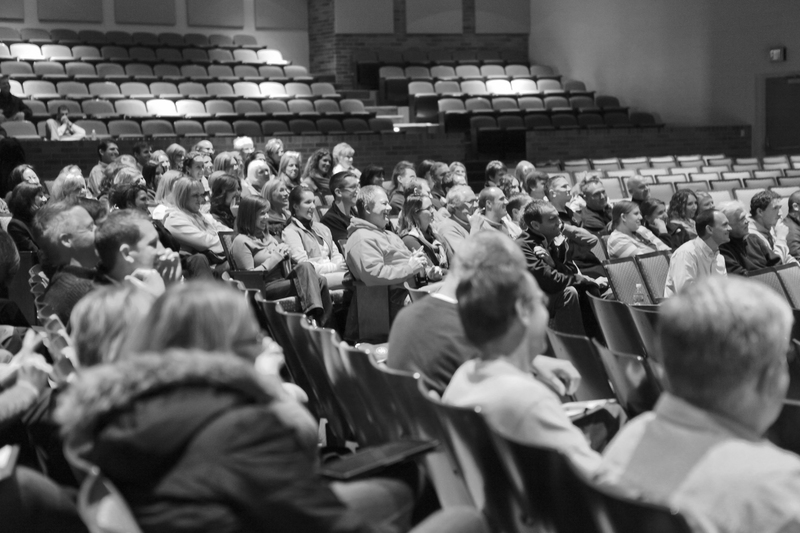 Last Tuesday, February 18 Jenison teachers and administrators were given the opportunity to be the students and learn new and exciting teaching methods. Teaching and Assessing Math in a Common Core Digital World which has a focus in Math. Teachers were grateful for the training and are already making plans to implement what they were taught into their lessons. Thank you, teachers, for continuing to dedicate yourselves to lifelong learning for our students! 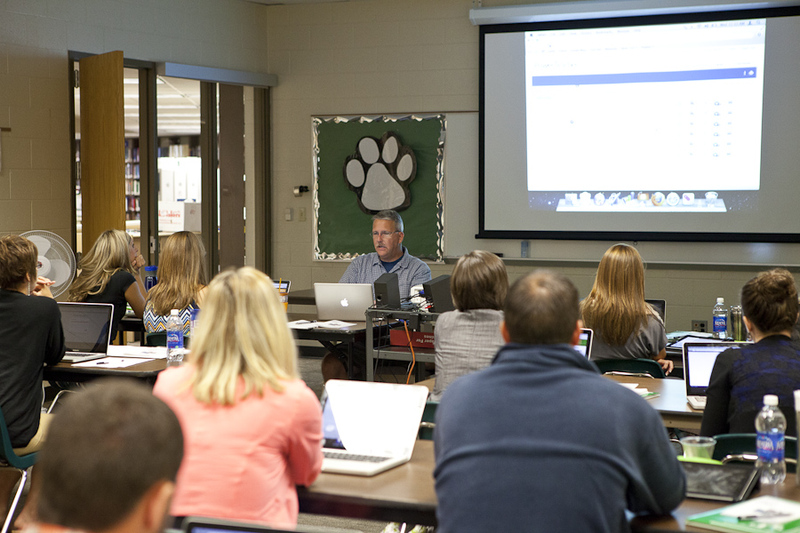 With an “app” for just about anything, Jenison teachers are learning that the best “app” for this upcoming school year is spending the day intensively training for a new year with new technology. 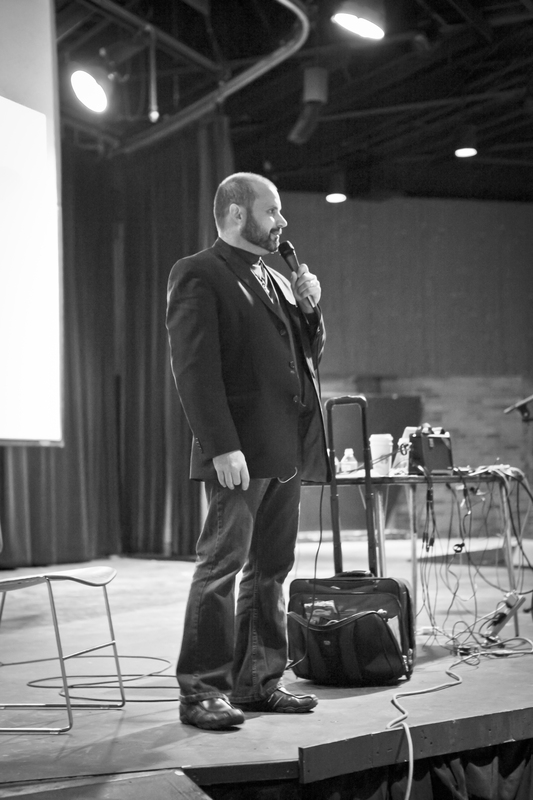 To do that, we welcomed Mr. Andy Losik, Apple Distinguished Educator and 2009 Michigan Tech-Educator of the Year, to kick off our professional development yesterday. 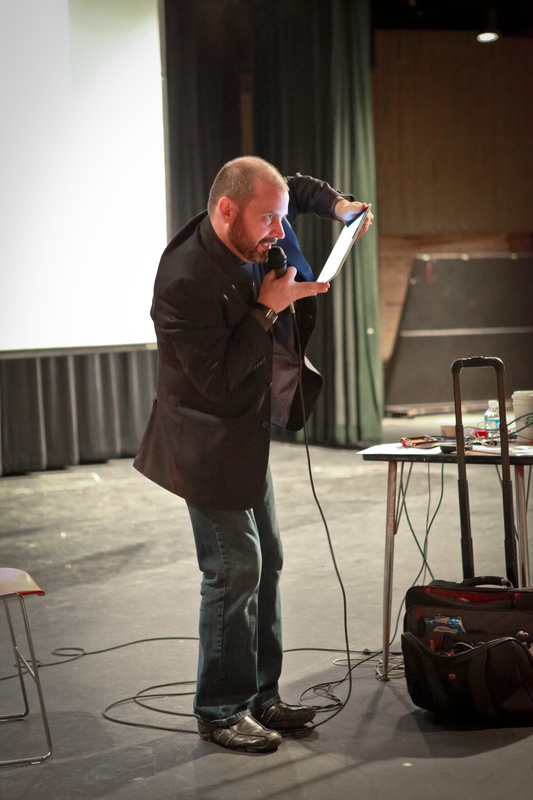 His keynote challenged teachers to consider the many varied ways that technology can hook, engage, and keep kids focused on exploring and learning. 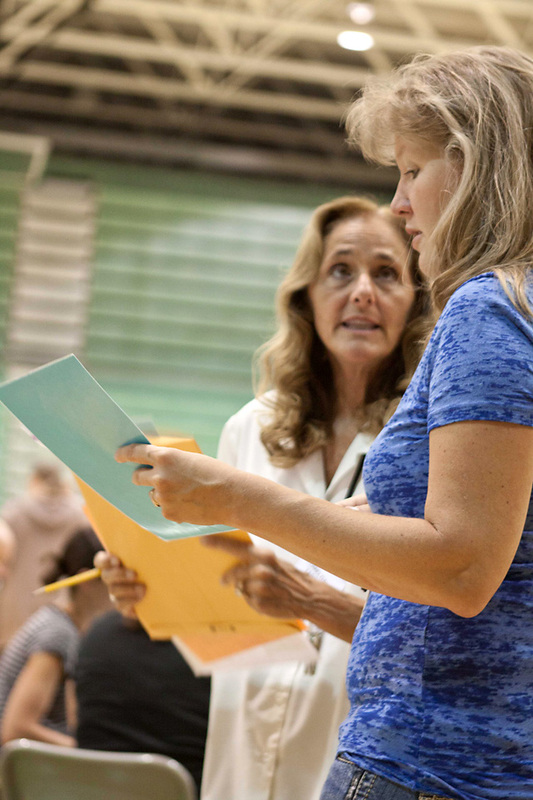 With the early morning charge still echoing in the hallways, teachers left with purpose and embarked on the next frontier: a full day of pull-out seminars with literally dozens of topics from which to choose. 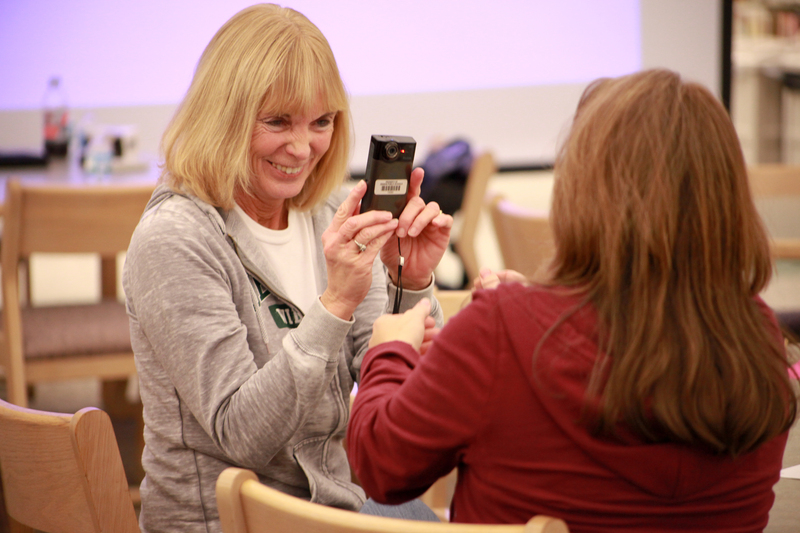 Learning opportunities during the pull-outs were staffed almost exclusively by Jenison teachers instructing their colleagues. They included: Creating Presentations on Your iPad, Student Presentations with Pizzazz, Creating Student ePubs, Blogging Made Simple, I Love My Document Camera, Screencasting Tools to Benefit Students, and many more! All of this work comes on the heels of the district expanding its technological reach with the purchase of several hundred iPads for teachers and staff. 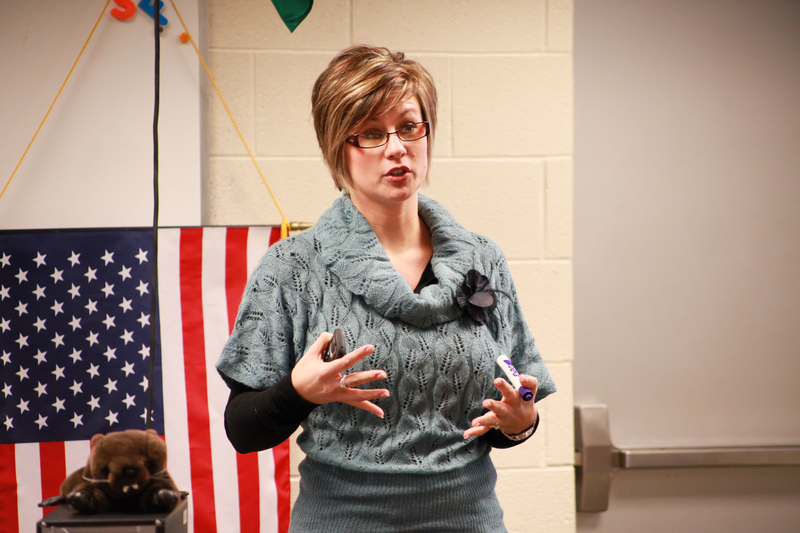 Funds from the recently passed Bond Issue made the expansion possible, and teachers are thrilled to incorporate powerful tools into their teaching. “We recognize that for most of our students, technology like smart phones and iPads are part of everyday life. 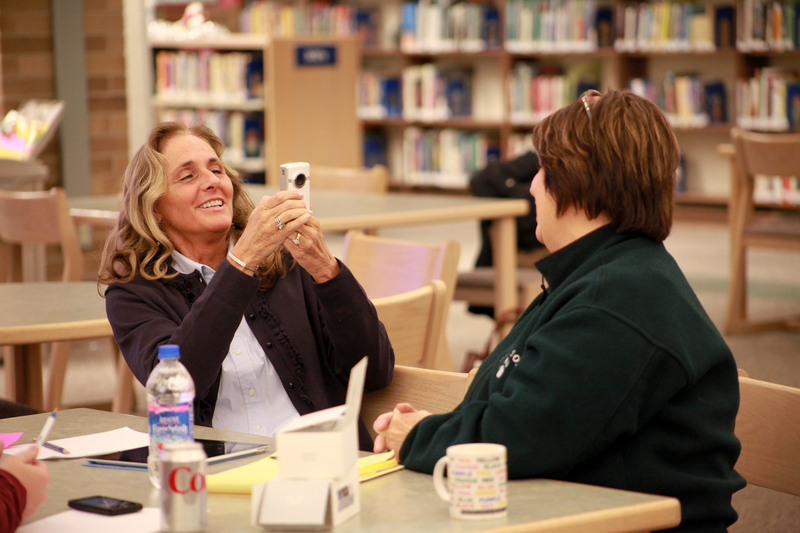 Now, instead of separating kids from their devices when they walk through the doors, we’re empowering teachers to embrace technology and use it to their advantage,” said Dr. Brandon Graham, principal of Jenison High School. We salute our amazing teachers for modeling what it looks like to be lifelong, eager learners. 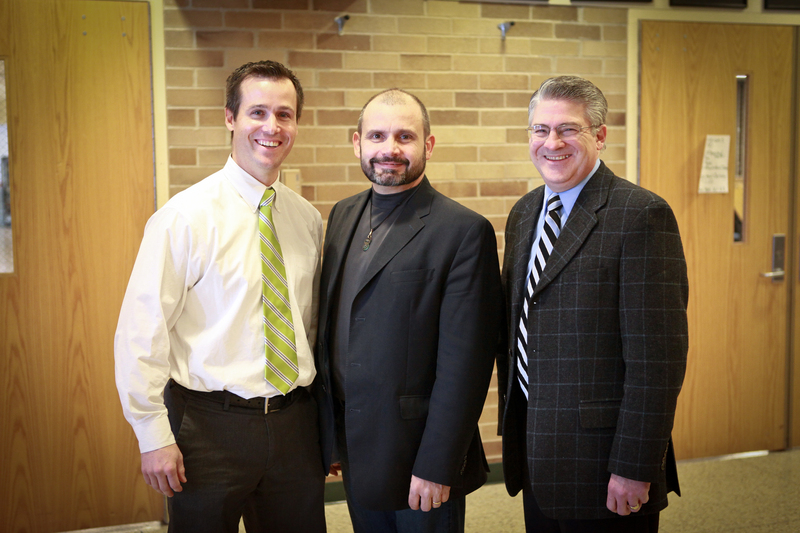 The students of Jenison Public Schools will be richly rewarded by your hard work and willingness to learn! Jenison Pride, for sure! Thanks to all for a wonderful day of learning together! If you ask me, there’s no better way to kick off the New Year than to spend time growing and learning with colleagues as a professional community. That’s why this past Monday, January 2nd, was such a special treat. 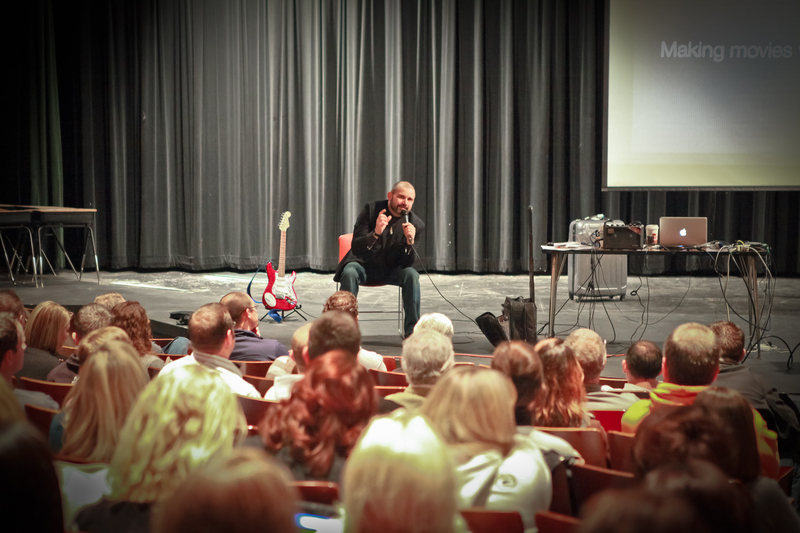 Jenison junior and senior high teachers had the privilege of listening to Mr. Kevin Honeycutt, a nationally respected keynote speaker and educator who challenged us to consider the digital worlds in which many of our children live—and the digital skills demanded by the job markets into which they will be entering as adults. Children, teens, and young adults are playing on a “digital playground.” Are there enough “playground supervisors” to make it not only a safe experience—but a beneficial one? How many of us adults would feel lost without our laptops, cell phones, or digital organizers? Is it appropriate to ask kids, then, to leave their “digital appendages” at home when coming to school? Is there a way to leverage the most powerful computing equipment that our world has ever known—and use it for amazing learning opportunities? After this exciting and thought-provoking presentation, teachers had the afternoon to learn from their district community about topics such as Google documents, flip cameras and their uses in the classroom, blogging, “bell ringers” (ideas for engaging students in the minutes before/after the bell rings), the electronic library, and understanding the iPad. We are blessed to not only have had a rich day of learning, but that so many of our educators were willing to participate in the teaching and presenting. It reminds me that our staff is giving and supportive, seeking to partner with their fellow educators in any way they can so that kids will benefit. Because at the end of the day, that’s why we do it. 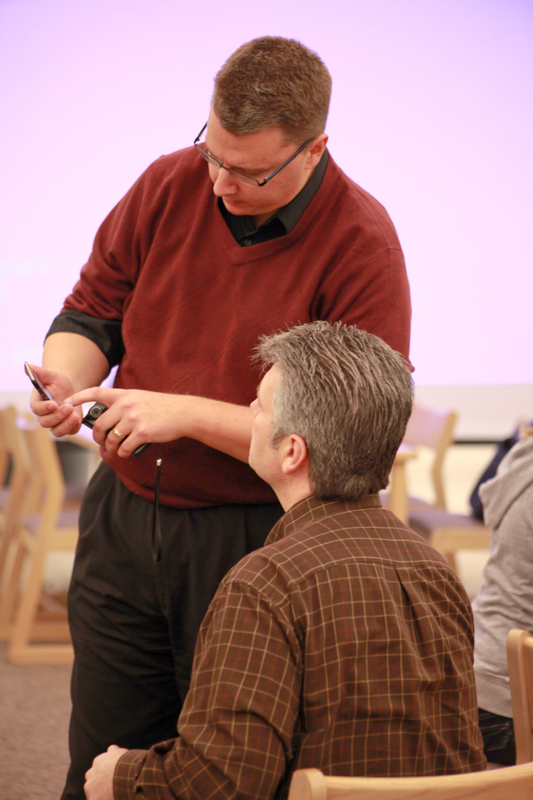 Check back tomorrow for more wonderful photos of our PD Day!